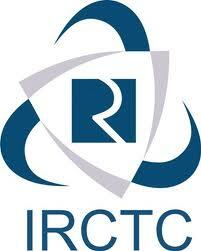 Indian Railway Catering and Tourism Corporation (IRCTC) launched a new application for Windows Phone and Windows 8 devices to facilitate the users with a new channel of booking e-tickets in addition to the existing portal. 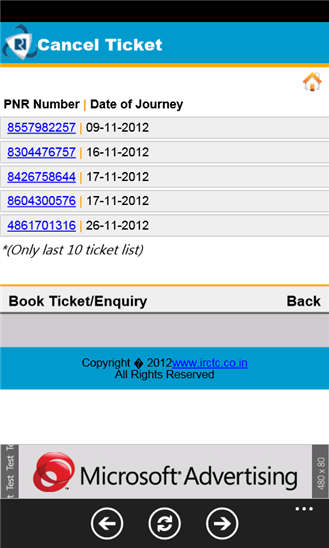 The new IRCTC App, developed in collaboration with Microsoft, is expected to enhance access to its existing e-ticket portal. 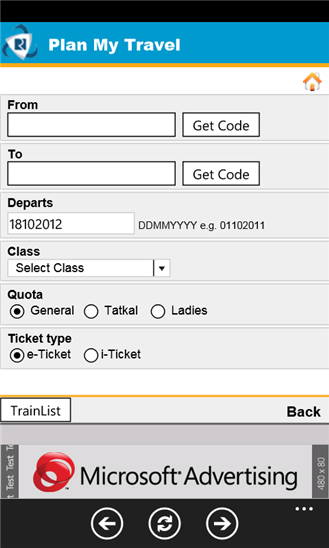 "With this alternative channel of booking, the passengers will have an additional convenience and better experience of booking e-ticket," said Rakesh Tandon, CMD of IRCTC after the launch of the App. 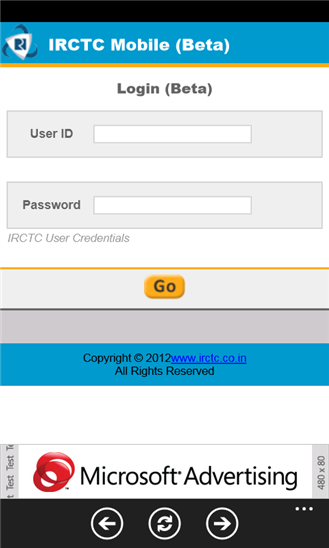 "We are excited to make the IRCTC app available exclusively on the Windows platform. We are committed to bring exciting and new experience to your Windows devices and will continue to create many such firsts," said Joseph Landes, General Manager of Microsoft Corporation. 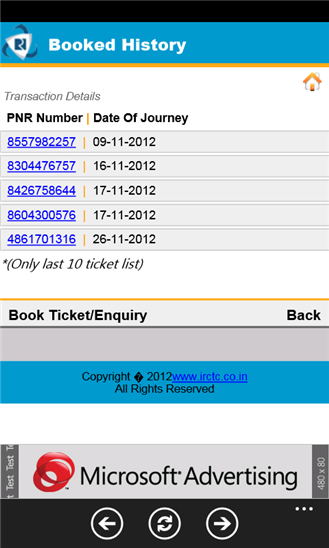 Using this new app one can plan a trip, make railway reservations, check the PNR status and perform all the tasks already available on the IRCTC web site. The service, however, will not be available between 8 AM and 12 AM and 11.30 PM and 12.30 AM as per the existing Railway guidelines. Tandon said, "We feel the App is ideal for the modern consumer who is always on the move. Windows is the most trusted and widely used platform and offers the requisite security required while handling vast amounts of personal and financial user data." 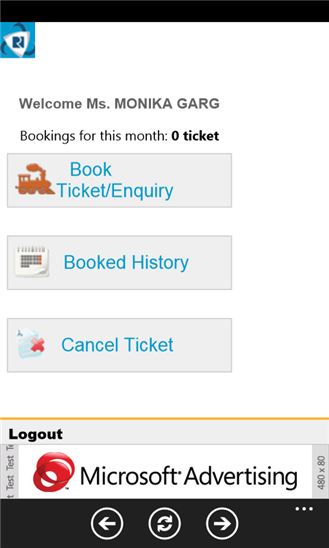 Thanks IRCTC for lauching app for windows now its easy to bpook ticket from app we just do IRCTC Register and then we book ticket.